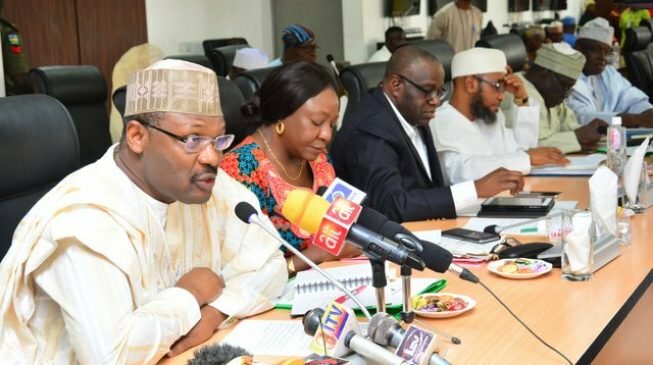 A high court in Yola, Adamawa state capital, has asked the Independent National Electoral Commission (INEC) to proceed with the supplementary election in the state. The court had previously restrained the commission from conducting the exercise based on a suit filed by Mustafa Shaba, governorship candidate of the Movement For Restoration and Defense for Democracy (MRDD). Shaba had sued the commission over the absence of his party’s logo on the ballot paper of the election held on March 9, that was declared inconclusive. “I hereby grant the following order: ‘the defendant the INEC is restrain whether by themselves, their executives, servants, privies, representative, nominees or any other person or persons from proceeding with the supplementary election in respect of Adamawa pending the hearing and determination of the motion on notice,” Abdulazeez Waziri, the presiding judge, had ruled.